Shredder will assume control of the city in the following 48 hours. Fight lesser crimes, which lead to the main villain. 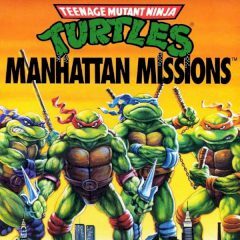 This is Shredder's last attempt to assume control of the city and no one, except turtles has a power to resist. The police is helpless and the turtles must take care of several things before it's too late. Can you help them?